The Rest of the World squad is bringing in all-time great Cafu, Manchester United veterans Jaap Stam and Dimitar Berbatov, striker Samuel Eto’o, Dutch superstar Edgar Davids and ex-Arsenal goalkeeper Jens Lehmann. On the Rest of the World team, Michael Sheen is captain and joined by Gordon Ramsay, Nicky Byrne and Rickie Haywood-Williams. Dermot O’Leary is hosting, with Kirsty Gallacher reporting pitch-side as the action unfolds and Clive Tyldesley, Chris Kamara and Howard Webb on commentary. 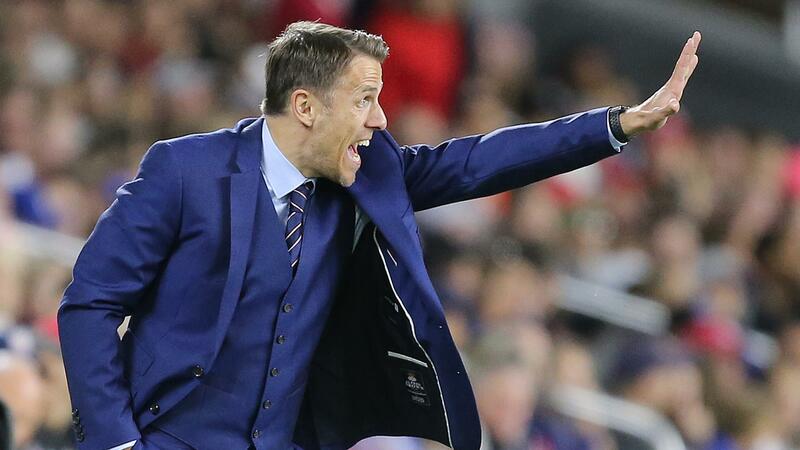 Phil Neville who turned 39 in January this year, started his career early in the mid nineties when he grew through the ranks of Manchster United Under-18 before breaking into the national team. The midfielder played for the Red Devils under Alex Ferguson till the the mid 2000s when he was sold to Everton. He plied his traded for the Toffees till 2013 when he eventually retired after two decades of top flight football. During the span of his career, the player was involved in over 500 matches in the Englsih Premier League and almost 60 games in the UEFA Champions League. He won titles with Manchester United. Aside club football, Neville played for country where he also moved through the ranks and played for the English national team before retiring from international football.